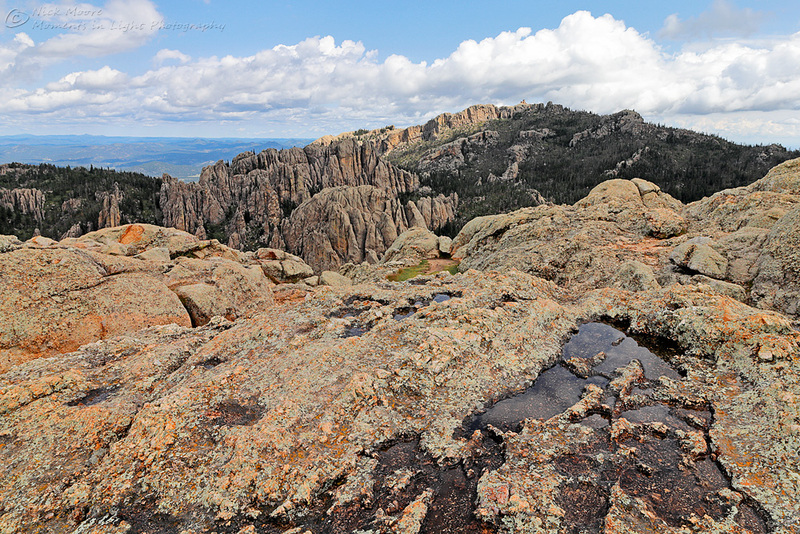 I first visited the Black Hills in September 2012, and even though it is a relatively small region, every trip there since I have found something new and different to explore. 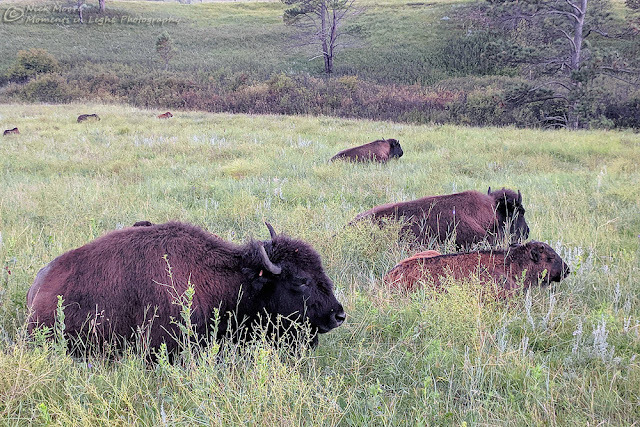 The Black Hills aka "Island in the Prairie" is a relatively short drive from Northern Colorado and offers a peaceful get away from the increasingly busier Denver corridor. 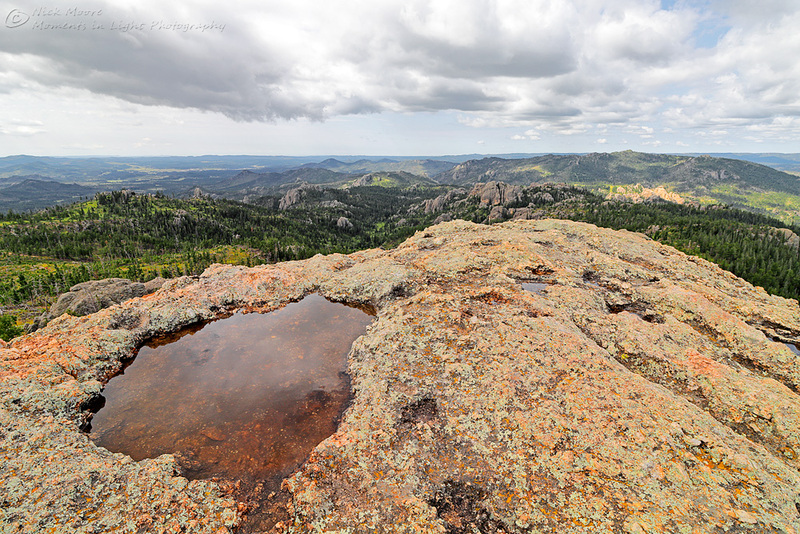 Custer State Park is a real jewel and one of my favourite areas in the Black Hills region of South Dakota. The State Park occupies 71,000 acres and is South Dakota's largest, and was also the States first being founded in 1912. 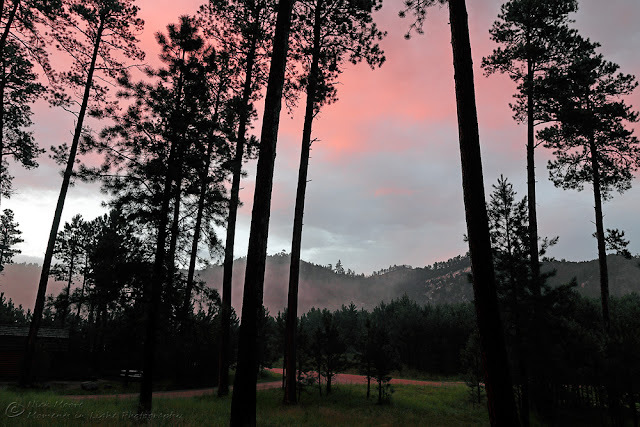 The State Park is a real nature lover and campers paradise, the park boasts 9 campsites, a $20 per car entrance fee is required (valid for 7 days). One of my favourite spots for Cabin Camping is the Blue Bell Campground located on SD 87 (SE of Custer off of Highway 16A). 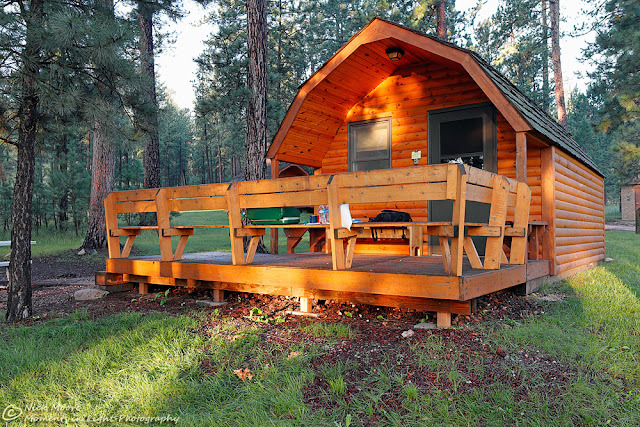 The campground is close to the picturesque French Creek and nestled amongst Ponderosa pines, the Blue Bell Lodge is a stone's throw away where you will find a full-service excellent restaurant, a shop, and laundry. The wildlife is abundant in this campground, red squirrels scurry constantly up the trees and under the cabins, and deer and wild turkey can be seen wandering through as you cook a hearty meal. 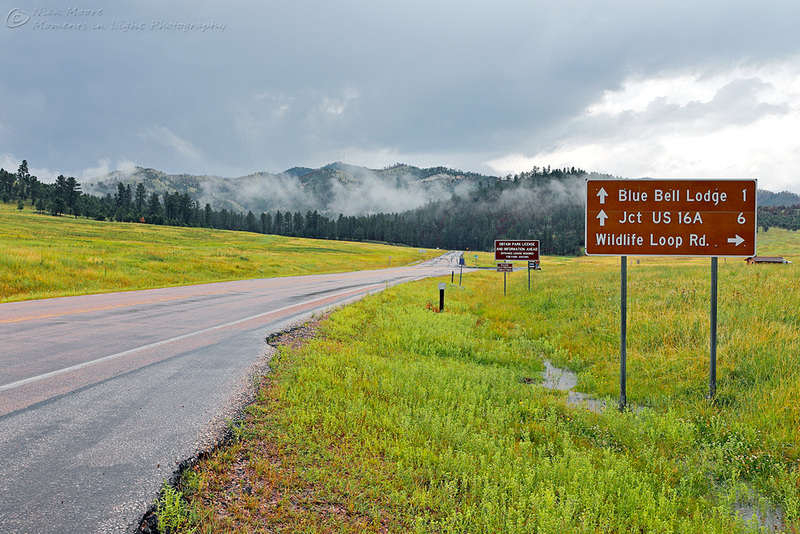 Not far from Blue Bell Campground to the South is the Custer State Park Wildlife Loop Road, this 18-mile drive is your best chance to see the park's wildlife: buffalo (the park is famous for these iconic animals), deer, antelope, elk, burros, and of course prairie dogs. More often than not, the buffalo will block the road and provide some great photo opportunities - please do not approach them though, they are dangerous wild animals that deserve respect!. 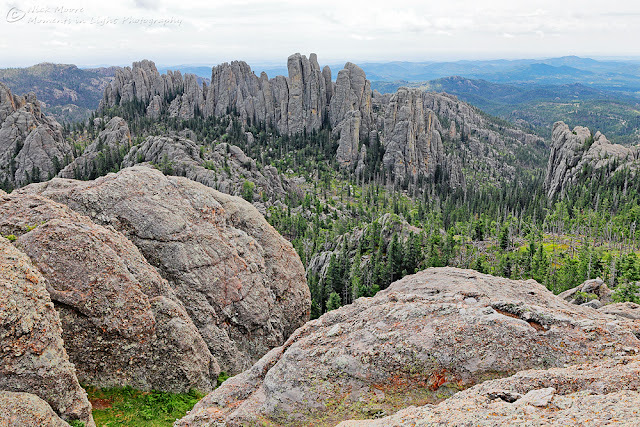 Custer State Park is split into two halves by Highway 16A, to the south is the Wildlife Loop Road with its rolling prairie landscape, and to the north are the Needles Highway and Iron Mountain Road with their higher rockier terrain. The Needles Highway climbs up to above 6000 feet, over the 14-mile drive you pass through two single-lane tunnels and numerous overlooks that reward visitors with incredible views for as far as the eye can see. There are Numerous hiking trails off of the Needles Highway that allows you to explore the wilderness away from the crowds: Sylvan Lake (the busiest trail area), Cathedral Spires Trail, Little Devil's Tower, and Black Elk Peak are a few of the main hiking options. On my last visit to the park, I had the opportunity to hike to Little Devil's Tower, this 3.5-mile round trip is strenuous and does involve rock scrambling to reach the summit, but the 360-degree views are well worth the effort!. Maybe the busiest spot in Custer State Park is Sylvan Lake, and for good reason!. 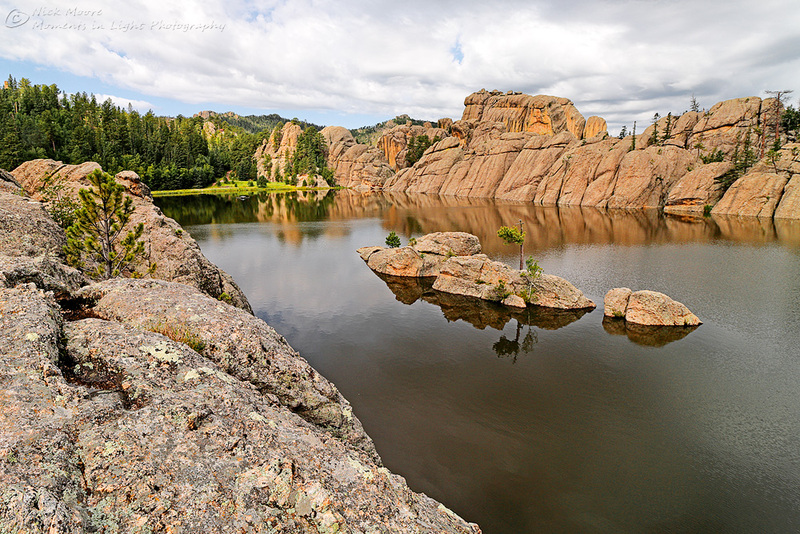 This beautiful small lake wows all visitors, and even movie stars, the closing scenes for National Treasure were filmed here!. 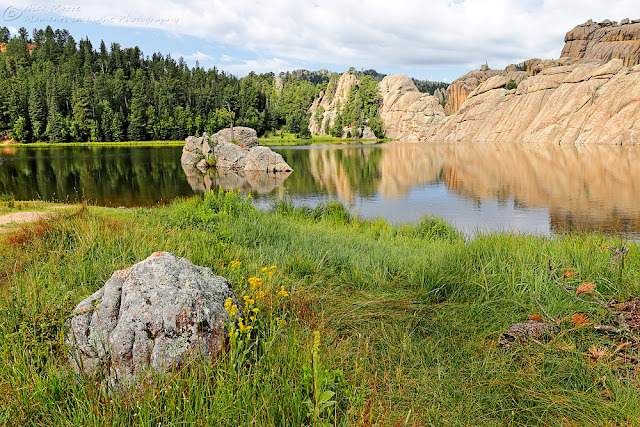 The lake is often used for Wedding ceremonies, for picnicking, hiking and boating, and is a must-see spot for any visitor to the park. Custer State Park Resort is close to the lake with camping and lodging, and a well-stocked gift shop is also next to the lake. 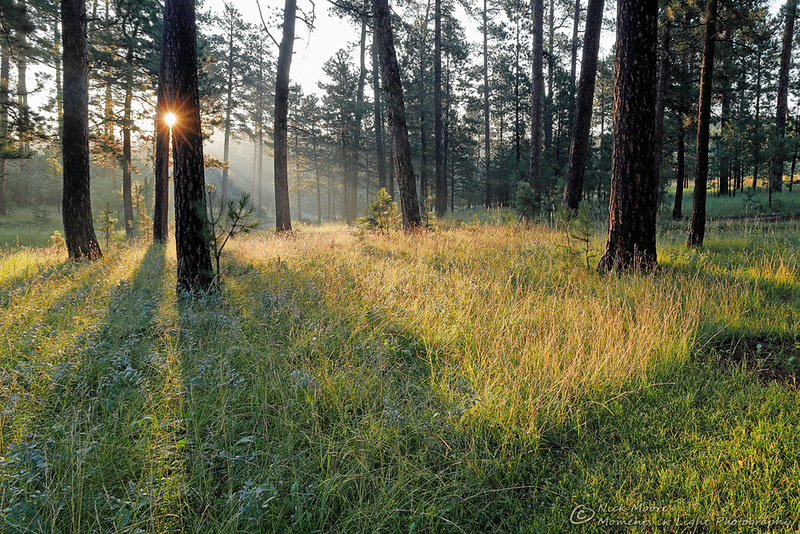 After a day of driving the scenic byways, hiking around lakes and up to rocky outcrops, there is no better way to relax than to watch the sunset from your camping cabin, and to then lay back and view the millions of stars that twinkle overhead.